French mathematician who was awarded the Fields Medal in 1994 for his work in dynamical systems. Such studies began with Poincaré about the turn of the 20th century, who considered the stability of the solar system. It evolves according to Newton's laws but will it remain stable or, might a planet be ejected from the system? The techniques apply also in biology, chemistry, mechanics, and ecology where stability is an issue. This work also produces aesthetically appealing objects, such as the Julia and Mandelbrot fractal sets. Yoccoz was primarily concerned with establishing criteria that gave precise bounds on the validity of stability theorems. A combinatorial method for studying the Julia and Mandelbrot sets was named "Yoccoz puzzles." Paul Ralph Ehrlich was an American biologist and educator who in 1990 shared Sweden's Crafoord Prize (established in 1980 and awarded by the Royal Swedish Academy of Sciences, to support those areas of science not covered by the Nobel Prizes) with biologist E.O. Wilson. He has been a pioneer in alerting the public to the problems of overpopulation and in raising issues of population, resources, and the environment as matters of public policy. Ehrlich is regarded as the co-founder, along with Peter H. Raven, of the field of coevolution, and has pursued long-term studies of the structure, dynamics and genetics of natural butterfly populations. Peter Ware Higgs is an English theoretical physicist, the namesake of the Higgs boson. In the late 1960s, Higgs and others proposed a mechanism that would endow particles with mass, even though they appeared originally in a theory - and possibly in the Universe! - with no mass at all. The basic idea is that all particles acquire their mass through interactions with an all-pervading field, called the Higgs field. which is carried by the Higgs bosons. This mechanism is an important part of the Standard Model of particles and forces, for it explains the masses of the carriers of the weak force, responsible for beta-decay and for nuclear reactions that fuel the Sun. No Higgs boson has yet been detected; its mass (over 1 TeV) exceeds the capacity of any current accelerator. Chinese-American physicist who provided the first experimental proof (1956) that parity is not conserved in weak subatomic interactions of nuclear beta decay. When two physicists, Tsung-Dao Lee, and Chen Ning Yang proposed that parity was not conserved for weak interactions, Dr. Wu tested the proposal by observing the beta particles given off by cobalt-60. She observed that there is a preferred direction of emission, and that therefore, parity was not conserved for this weak interaction. In other words, Dr. Wu was able to prove that identical nuclear particles do not always act alike, and, thereby, disprove, what was then, a widely accepted “law” of nature. Madame Wu Chien-Shiung: The First Lady of Physics Research, by Tsai-Chien Chiang and Tang-Fong Wong (trans.). . - book suggestion. Born 29 May 1887; died 29 Sep 1955 at age 68. L(ouis) L(eon) Thurstone was an American psychologist who improved psychometrics, the measurement of mental functions, and developed statistical techniques for multiple-factor analysis of performance on psychological tests. In high school, he published a letter in Scientific American on a problem of diversion of water from Niagara Falls; and invented a method of trisecting an angle. At university, Thurstone studied engineering. He designed a patented motion picture projector, later demonstrated in the laboratory of Thomas Edison, with whom Thurstone worked briefly as an assistant. When he began teaching engineering, Thurstone became interested in the learning process and pursued a doctorate in psychology. Born 29 May 1857; died 19 Nov 1918 at age 61. Born 29 May 1855; died 27 Nov 1931 at age 76. Born 29 May 1826; died 31 Mar 1903 at age 76. Born 29 May 1794; died 14 Mar 1874 at age 79. German astronomer who (with Wilhelm Beer) published the most complete map of the Moon of the time, Mappa Selenographica, 4 vol. (1834-36). It was the first lunar map to be divided into quadrants, and it remained unsurpassed in its detail until J.F. Julius Schmidt's map of 1878. Mädler and Beer also published the first systematic chart of the surface features of the planet Mars (1830). Born 29 May 1794; died 1 Feb 1882 at age 87. Antoine Alexandre Brutus Bussy was a French chemist who first prepared magnesium in a coherent form (Mg, element 12). Although mostly a pharmaceutical researcher, in Mémoire sur le Radical métallique de la Magnésie(1831)*,he described a method to isolate magnesium. He heated magnesium chloride and potassium in a glass tube. When he washed out the potassium chloride, small, shining globules of magnesium remained. Magnesium was discovered by Sir Humphry Davy (1808) but prepared in a very small amount. It is a ductile silver white alkaline earth metal. Magnesium is the eighth most abundant element in the Earth's crust. Bussy also prepared beryllium, independently of Wöhler, in Aug 1928, by the action of potassium on beryllium chloride. Born 29 May 1781; died 1 May 1859 at age 77. Born 29 May 1781; died 13 Jan 1855 at age 73. French naturalist and chemist known for isolating glucose, a simple sugar, directly from such plant material as sawdust, linen or bark by boiling them with acid (1819). Previously, glucose had only been derived from starch. In 1811, he was the first to find fungtine - in mushrooms. (It was named chitin in the 1830's when it was also isolated in insects.) Chitin is one of the most abundant polysaccharides found in nature. In 1832, Braconnot prepared “xyloidine” by treating starch, sawdust, and cotton with nitric acid. He found that this material was soluble in wood vinegar and attempted to make coatings, films, and shaped articles from it. This was an early discovery preceding the work of other scientists with nitrocellulose that led to the advent of plastics and rayon. Born 29 May 1767; died 2 Dec 1804 at age 37. French engineer and chemist, inventor of illuminating gas. He was born in the charcoal-burning town of Bruchay, France. In 1797 he began work that led to his invention of the first gas lighting. Heating sawdust in a glass tube over a flame produced a flammable gas. It smelled badly, and was smoky. He used the gas distilled from wood in his Thermolampe ("heat lamp") which he patented and exhibited in 1799. For several months he exhibited in 1801 a large version of the lamp in a Paris hotel. On the day of the ceremony for Napoleon's coronation in 1804, Lebon was robbed and fatally stabbed. William Murdoch, working independently in Scotland at the same time, produced, purified and stored gas; and more successfully introduced gas lighting. Born 29 May 1716; died 1 Jan 1800 at age 83. French naturalist who was a prolific pioneer in the fields of comparative anatomy and paleontology. Daubenton completed many zoological descriptions (including 182 species of quadrupeds for the first section of Georges Buffon's work Histoire naturelle, 1794-1804). His dissections contributed to productive studies in the comparative anatomy of recent and fossil animals, plant physiology, and mineralogy. He conducted agricultural experiments and introduced Merino sheep to France. In 1793, he became the first director of the Museum of Natural History in Paris. Died 29 May 1961 at age 80 (born 21 Jun 1880). Arnold Lucius Gesell was an American psychologist and pediatrician who pioneered the use of motion-picture cameras (1926) to study the physical and mental development of normal infants and children. His books gave norms for behavior at successive stages of development and were widely read by parents. Gesell was one of the first to attempt a quantitative study of child development, developing his own methods of observation and measurement. Gesell's initial work focused on developmentally disabled children, but he believed that it was necessary to understand normal infant and child development in order to understand nonnormality. He also studied Down's syndrome, cretinism, and cerebral palsy. The Embryology of Behavior, by Arnold Gesell. - book suggestion. Died 29 May 1908 at age 72 (born 17 Nov 1835). American physicist and electrical engineer who initiated and developed one of the first courses in electrical engineering in the U.S. (1883), while teaching in the Physics Department at Cornell University, Ithaca, N.Y. During 1872-75, Anthony, with the aid of student George Moler, built the first American Gramme dynamo for direct current, used to power arc lamps that lighted the Cornell campus, the first American electrical outdoor-lighting system. Anthony also built a mammoth tangent galvanometer, a device which utilized the earth's magnetic field for the measurement of current. He designed the dynamo for first underground electricity distributing system. Anthony contributed to development of gas-filled electric lamps. (Ferdinand Gustav) Julius von Sachs was a German botanist studying plant physiology, nutrition, and tropism (response to environmental stimuli). He discovered transpiration: that the absorbed water moves in tubes in the plant walls without the cooperation of living cells. In 1865, Sachs discovered chlorophyll, the green substance of plants; that it is located in special bodies within plant cells (later called chloroplasts); that glucose is made by the action of chlorophyll; and that the glucose is usually stored as starch. Sachs studied the formation of growth rings in trees, the role of tissue tension in promoting organ growth. He invented the clinostat to measure the effects of such external factors as light and gravity on the movement of growing plants. His work was a significant contribution to the knowledge of plant physiology during the second half of the 19th century. Died 29 May 1896 at age 81 (born 25 Jun 1814). French geochemist and a pioneer in the application of experimental methods to the study of diverse geologic phenomena. His appointment as professor of geology and mineralogy at Strasburg furnished him with a laboratory suitable for his experimental work in synthetic geology, begun in 1849. He studied the artificial production of minerals, the geological action of superheated aqueous vapour, the effect of mutual abrasion, the influence of pressure and strain in mountain-making, etc. During the years 1857-61 he made a detailed study of the hot springs of Plombières, observing at the same time the chemical action of thermal waters. Daubréelite (CrS), a grayish granular mineral found in meteoric iron, was named after him. Died 29 May 1866 at age 57 (born 1 Aug 1808). English chemist (Baronet), who discovered several chemical elements and compounds, invented the miner's safety lamp, and epitomized the scientific method. With appointment to the Pneumatic Institution to study the physiological effects of new gases, Davy inhaled gases (1800), such as nitrous oxide (laughing gas) and a nearly fatal inhalation of water gas, (a mixture of hydrogen and carbon monoxide). Davy discovered alkali metals: potassium and sodium, an isolation made with electric current for the first time (1807); as well as alkaline earth metals: calcium, strontium, barium, and magnesium (1808). He discovered boron at the same time as Gay-Lussac. He recognized chlorine as an element, which prior workers confused as a compound. Humphry Davy: Life Beyond the Lamp, by Raymond Lamont-Brown. - book suggestion. 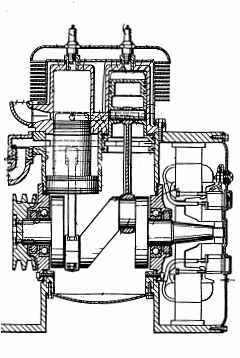 In 1945, a two-cycle gas engine was patented by black American inventor F.M. Jones (U.S. No. 2,376,968). His first patent was for a ticket dispensing machine (1939), but in the next twenty years Jones produced numerous inventions to patent related to refrigeration and air conditioning for trucks and railway boxcars with their associated engines, compressors and control devices. He solved the problems for truckers hauling poultry and other perishables troubled by packing ice melting away during a trip. Jones combined a knowledge of shock-proofing and engine building from building racing cars in his youth with a study of refrigeration from library books. Later, he designed all Army and Marine field kitchen refrigeration systems. The Inventive Spirit of African Americans: Patented Ingenuity, by Patricia Carter Sluby. - book suggestion. In 1923, Thomas A. Edison was issued a patent concerning "Stylus Mounting" (No. 1,456,687), a mount for phonograph stylii formed of a jewel such as diamond or sapphire in which the stylus is partially enclosed in a metal holder and projects from a reduced end portion thereof. The particular improvement is to provide for the stylus to be firmly and rigidly held to prevent it from loosening in use. A method of reinforcing the stylus mounting is applied at its weakest point, which is where the stylus emerges. An electroplating cell is used to apply a nickel reinforcing collar to the stylus. In 1919, a solar eclipse permitted observation of the bending of starlight passing through the sun's gravitational field, as predicted by Albert Einstein's theory of relativity. Separate expeditions of the Royal Astronomical Society travelled to Brazil and off the west coast of Africa. Both made measurements of the position of stars visible close to the sun during a solar eclipse. These observations showed that, indeed, the light of stars was bent as it passed through the gravitational field of the sun. This was a key prediction of Albert Einstein's theory that gravity affected energy as in addition to the familiar effect on matter. The verification of predictions of Einstein's theory, proved during the solar eclipse was a dramatic landmark scientific event. In 1906, Thomas A. Edison was issued a series of U.S. patents, (Nos 821,622 - 821,627), respectively for a "Process of Cleaning Metallic Surfaces" in the form of long continuous strips to prepare for coating (ex. by electroplating); as for a "Storage-Battery-Filling Apparatus," which provided a means to indicate when the proper filling level of solution has been reached; a "Gas-Separator for Storage Batteries"; a "Process of Treating Alkaline Storage Batterie"; a "Process of Making Metallic Films or Flakes"; and a "Process of Making Metallic Flakes or Scales." In 1898, the heirs of Alfred Nobel sign a “reconciliation agreement” so that lawyers and accountants can execute his will. The will's major bequest was to create the Nobel Prizes, but first, there were disputes to be settled. In 1888, another of his several dozen lubricating devices was patented by black American inventor, Elijah J. McCoy (U.S. No. 383,746). The Real McCoy, by Portia P. James. - book suggestion. Booklist for Black American Inventors. In 1885, Jan Matzeliger gave a public demonstration in Lynn, Massachussets, of his newly-invented machine's ability to mass-produce shoes, and replace the tedious hand work previously required to attach the sole to the upper of a shoe. On this day, it is said he produced 75 pairs of women's shoes under factory conditions, many more than was possible by hand workers. His first patent on his shoe-lasting invention was issued on 20 Mar 1883 (U.S. No 274,207). With investors, his production model, was quickly adopted by and revolutionized the shoe industry. In 1883, Thomas A. Edison received a series of patent for some of his electrical inventions. One patent was for a "Dynamo-Electric Machine" (U.S. No. 278,419), and two for a "Regulator for Dynamo-Electric Machines" (No. 278,413 and -4). Three of the patents covered the "Manufacture of Incandescing Electric Lamps" (No. 278,415; -6 and -7), and one for an "Apparatus for Translating Electric Currents From High to Low Tension," (No. 278418). In addition a Design Patent No. 13940 was issued for a "Design for Incandescing Electric Lamp."